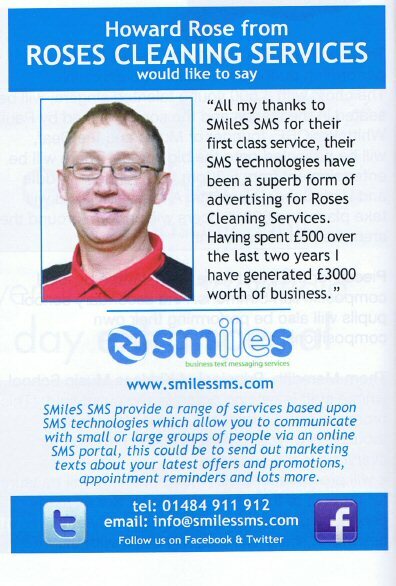 Posted on June 12, 2012, in SMileS Features/Articles and tagged Howard Rose, Huddersfield Eye, Roses Cleaning Services, SMileS SMS, SMS Marketing, SMS technologies. Bookmark the permalink. Leave a comment.